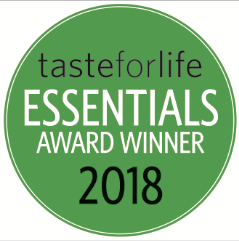 Taste for Life Announces its 2018 Women’s Essentials Award Winners! Oxylent was awarded the most Functional Beverage with our Sport Oxylent Blueberry Burst in the Sports Nutrition Category for 2016 by Vitamin Retailer. “Easily the best-tasting powdered multi. Tear open a satchel, put it in a glass of water and enjoy your nutrients. Even better is the ingredient deck, featuring premium ingredients such as enhanced-absorption chelated minerals, methylcobalamin B12, a 1:2 calcium-magnesium ratio and bioflavonoids to help with vitamin C absorption. Oxylent was awarded the Clean Choice Award for 2014 by Clean Eating magazine. Prenatal Oxylent was chosen as a 2014 Supplement Award winner by Delicious Living Magazine. Prenatal Oxylent was awarded a Best of Supplements Award for 2013 by Better Nutrition magazine. Prenatal Oxylent was chosen as a 2012 Essentials Award by Taste for Life magazine. Children’s Oxylent was chosen a Top Baby and Kid Product at Natural Products Expo West. Oxylent was awarded the AKA stamp of approval by Askley Koff, R.D. Oxylent was selected as a 2010 Best of Supplements award winner by Better Nutrition magazine. Oxylent was chosen as a Top Gear of the Year Award winner by the Shapeyou.com Gear Awards. 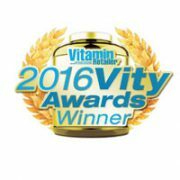 Oxylent was selected as a Top Ten Best New Product of the Year by Vitamin Retailer magazine.